Alongside his esteemed career as a filmmaker, David Lynch has worked as a visual artist for 50 years, producing an extensive body of paintings, photography and works on paper. 'David Lynch: Between Two Worlds' is a rare opportunity to consider his entire creative vision and the relationships between his practice as an artist, filmmaker and musician. 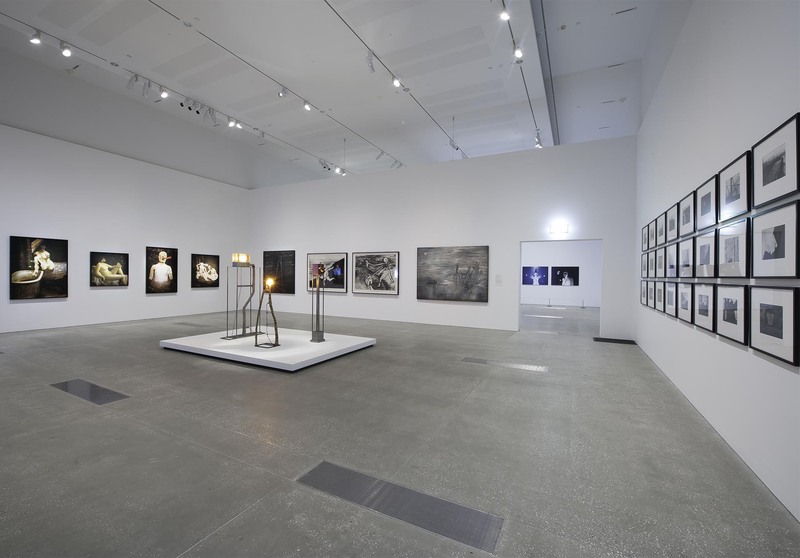 Developed closely with the artist, the QAGOMA exhibition features more than 200 works organised around three ideas – 'Man and machine', 'The extra-ordinary', and 'Psychic Aches'. Moving between the porous divide of the body and the world it inhabits, the exhibition explores the subjects of industry and organic phenomena; representations of inner conflict; and the possibility of finding a deeper reality in our experience of the everyday. A complete retrospective of Lynch's films and videos and selected works for television are presented as part of the exhibition in the Gallery's Australian Cinémathèque.